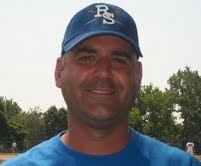 Having served as the Head Varsity Baseball Coach at New Rochelle HS during 2006-2009 and physical education teacher at Ward Elementary School since 1999, Coach Sgobbo is an ideal leader for the Rookie Field. As a New Rochelle HS graduate and catcher on the baseball team, Coach Sgobbo has come back to his home community to coach baseball and teach young athletes. Coach Sgobbo has also won two NY State championships as the women's tennis coach at New Rochelle HS.